In December of 2013, the Institute for Applied Ecology (IAE) welcomed a new ecologist, Laura Brown, to the Estuary Technical Group (ETG). Laura is originally from North Carolina, but moved to Oregon from Louisiana where she had been conducting research on oyster reef restoration along the northern Gulf of Mexico. Below is a description of some of Laura’s research findings about oyster reef restoration success. Oyster reefs provide numerous services to their surrounding ecosystems, making them a valuable habitat to restore. Since oysters filter their food from the surrounding water column, oysters help reduce turbidity and harmful nutrient loads. As reef building organisms, they act as a natural barrier from waves for marsh edges and shorelines, reducing erosion that will likely increase with rising sea-levels. Oysters provide not only a food source, but a habitat for numerous fishes and invertebrates. Globally, shellfish reefs have declined by 85% from their historic numbers primarily due to harmful harvesting practices, and are now considered more at risk than salt marshes and other coastal ecosystems. In response to the catastrophic loss of these valuable habitats artificial oyster reef construction has increased in recent years. 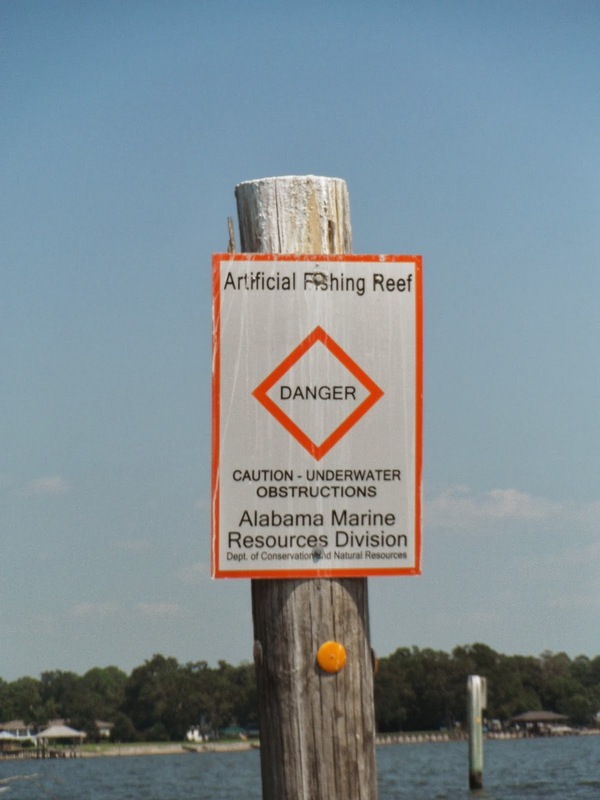 In the northern Gulf of Mexico alone, over 200 artificial reefs have been created. But do these reefs provide habitat for successful oyster colonization, and does the method of construction affect the quality of the habitat? Working with The Nature Conservancy of Louisiana, USGS and Louisiana State University, the goals of the project Laura worked on were to a) document the extent, methods, and outcomes of oyster reef creation along the northern Gulf of Mexico and b) determine which restoration technique best provides the ecosystem services of fisheries and invertebrate enhancement over time in order to better inform stakeholders on how to invest their resources for restoration. Researchers recorded the location, year built, construction material, and builder on each of the over 200 restored reefs. 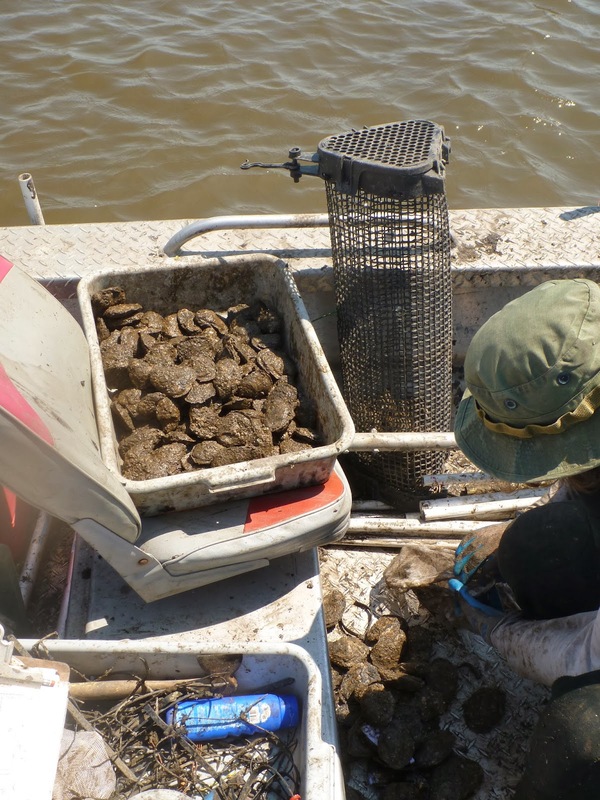 In addition, a subset of the oyster reefs created along the northern Gulf of Mexico was selected and sampled from Texas to northern Florida during this project to assess their marine communities and quantify finfish, invertebrate, and oyster abundances. Out of all the reefs that were located, 93% listed what material was used, 65% noted the construction date, only half stated project goals, and only 13% monitored the reefs post restoration. Twenty reefs using the most common construction material (rock and oyster shell) were sampled for habitat value and placed in the following categories: “ Success” (contained live oysters on the reef), “partial success” (did not contain live oysters but did have hard structure providing habitat), and “fail” (contained no live oysters or hard structure). Diving for oyster sampling in the Gulf of Mexico can be tricky due to a lack of visibility caused by sedimentation from the Mississippi River, but after feeling around under water for a while, what they found on the reefs varied from incredibly healthy reefs with thriving oyster populations to reefs that had only bare rock and concrete with no oysters. Only two of the reefs could not be located and were considered failures. These created reefs also contained similar abundances of fishes and macro-invertebrates when compared to “natural” reefs, suggesting that these created structures provided similar services in respect to biological production, hosting communities of fishes ranging from minnows to catfish, black drum to bull sharks. What was most important to the marine fishes, invertebrates, and oyster populations wasn’t so much the material the reefs were constructed with, but more the location of the restored reef in regards to environmental factors, such as salinity and water currents. While the majority of the reefs sampled in this study were “successful”, what’s most important is the location and provision of lasting hard structure, providing more sustained opportunities for fish, invertebrate, and oyster communities. Understanding the effect of restoration methods on habitat quality is crucial to the success of future restoration projects, especially since we often want high effectiveness at low cost. What’s important overall for any type of restoration is to document and record as much information as possible for the restoration activity, since a lack of information about a project makes it difficult to determine why projects fail or succeed. In a time of limited funding, the need to use past restoration activity as a means to improve future restoration success is crucial. 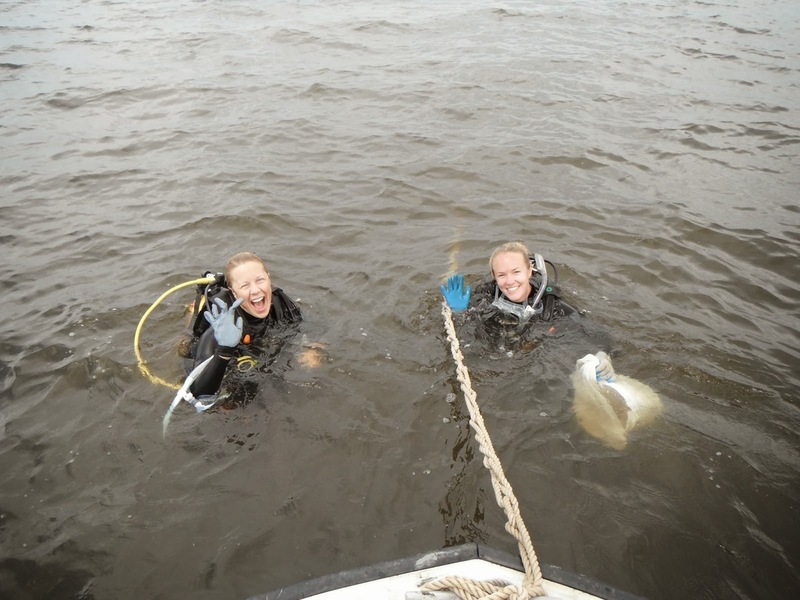 For more information on Laura’s oyster reef restoration work in the Gulf of Mexico, check out these two papers in the journals Restoration Ecology and Ocean & Coastal Management that came from her group in Louisiana. Also don’t forget to visit http://appliedeco.org/estuary for more information on what IAE’s ETG is up to! La Peyre, M.K., J.N. Furlong, L.A. Brown, B.P. Piazza and K.M. Brown. 2014. Oyster reef restoration in the northern Gulf of Mexcio: extent, methods and outcomes. Ocean & Coastal Management 89:20-28.